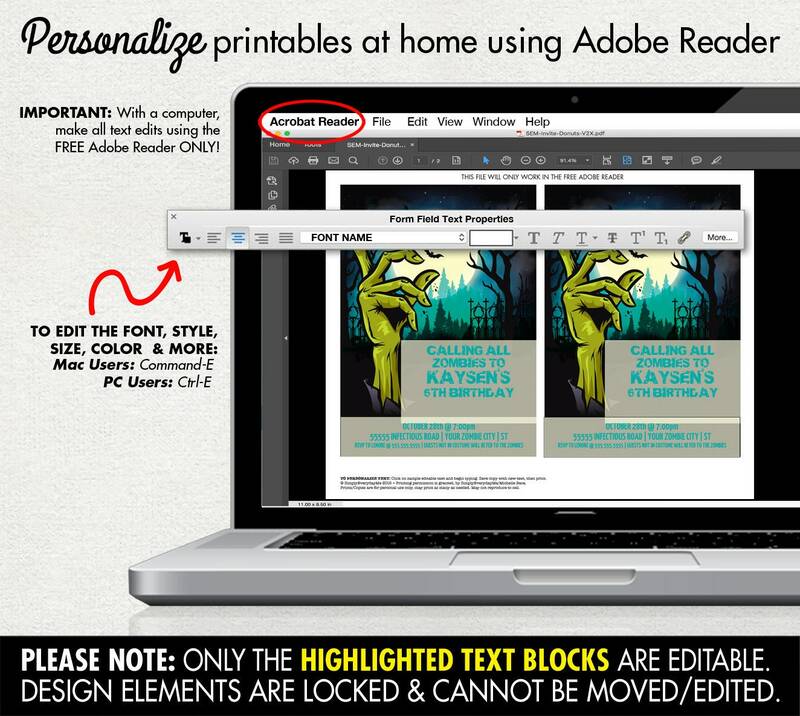 INSTANTLY DOWNLOAD & personalize this printable HALLOWEEN BIRTHDAY - ZOMBIE ARTY INVITATION - MONSTER MASH - with editable text using the Free Adobe Reader. Then print & create as many times as you like. 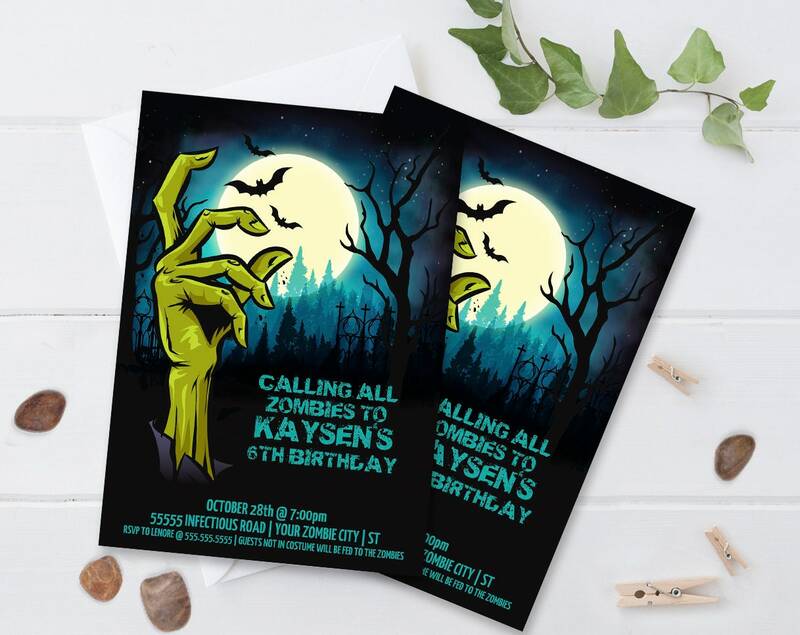 Loved these invitations. So cute for my sons party.